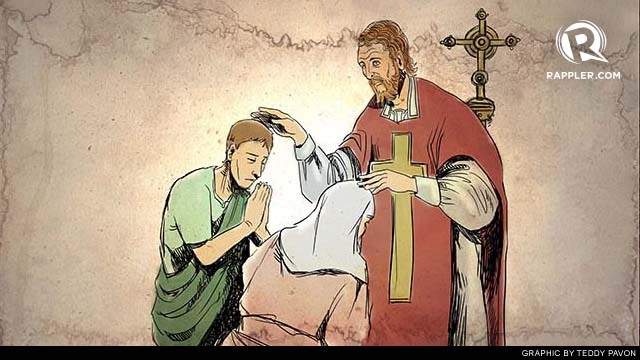 This festival was always held on 15th February until it was banned by Pope Gelasius, who decided to shift the focus onto 14th February instead by naming it Valentine’s Day, the date he allegedly died. The festival of Lupercalia was a riotous affair it seems. Between 13th and 15th February every year, dogs and goats were sacrificed on an altar by the ‘brothers of the wolf’ as an offering to the Gods. The blood from the sacrifices was used to anoint the attendees and then wiped away with a cloth soaked in milk. A great feast would follow where folks would eat and drink too much. 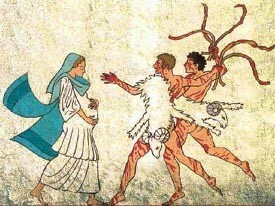 And if that wasn’t enough, once everyone had had a few, the ‘brothers of the wolf’ took the animal skins from the sacrifice, ran around naked with them and used them to smack people! Today, it is far more common to send a card or gift your loved one a bunch of roses as opposed to smacking them with an animal skin! The tradition of sending a rose began in the Victorian era. It was favoured over sending a card, as it was considered signing your name was bad luck. Cards were still sent, some very beautiful and intricate ones. They just would not have been signed.